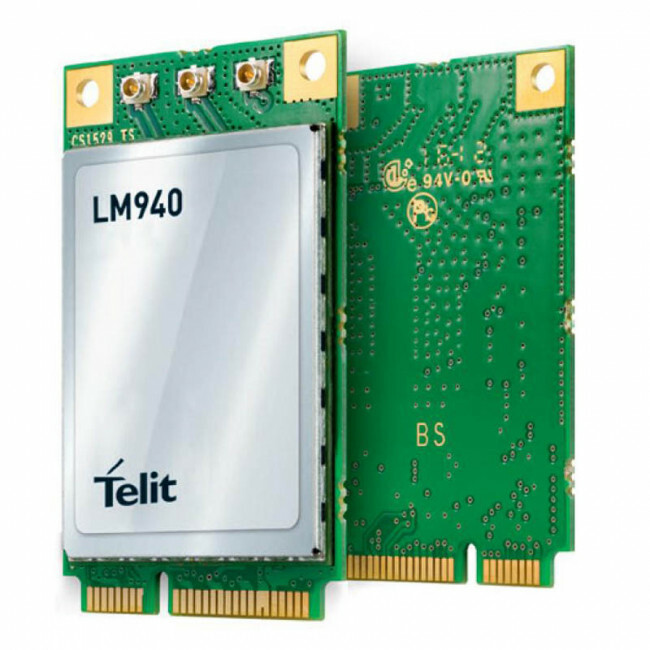 Telit LM940 is a LTE CAT-11 GPS mini PCIe data-card and it deliver High speed data rates on LTE advanced networks and offer a cellular connection for future products in routers and gateways environment. Telit LM940 PCIe data-card is particularly well-suited for products with very high requirements such as mobile routers/gateways and access points, to provide the most advanced 4G LTE connectivity, ensuring seamless connectivity to the end users. Telit LM940 LTE Cat.11 module achieves download rates up to 600 Mbps through support of 3GPP release 11 LTE Carrier Aggregation. LM940 mPCie data card supports the various RF frequency bands and band combinations deployed worldwide with MIMO capabilities and latest generation carrier aggregation support.